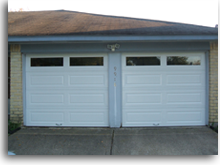 "Excellent work, gave me an estimate over the phone, showed	up	on	time	(actually	before	the	appointment	time), identified and fixed the problems we had discussed on the phone plus gave the door a great tune up. And, even more, he billed me what he told me on the phone. He clearly is very conscientious and the kind of service provider you want to refer your friends to." ~ Sugarland,	TX. "It was a pleasure working with this company. They were very informative and prompt in responding to us. 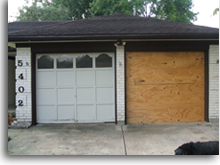 We ended up replacing the door instead of repairing it and their prices we very reasonable. 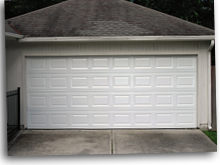 There repairman arrived on time, did an excellent installation and left the work area very clean." ~ League City, TX. 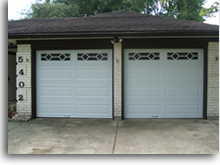 "Ron with Accent Garage Doors was fantastic! 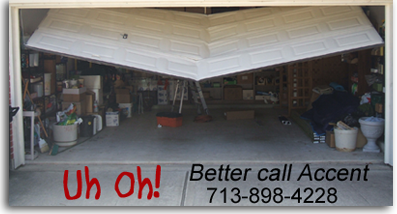 He did a great job on installing both of our garage doors, and his communication skills were great! I recommend this company! ~ Satisfied Customer, Missouri City, TX. 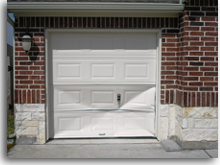 Accent Garage Doors can fix broken garage doors and broken garage door sections. 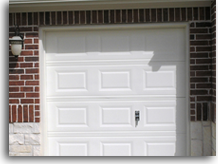 We also service interior garage door parts including springs, tracks, runners, rollers and cables and we maintain and repair garage door openers and circuit boards. 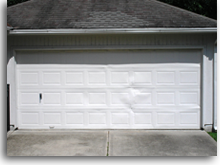 Accent Garage Doors replaced the two bottom sections of this door to repair a bump from the family car. Accent replaced the garage door sections of the door. The interior garage door hardware was recycled. 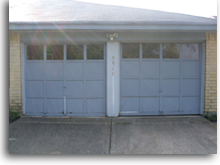 Two new garage doors really add to the value and curb appeal of these homes as well as offering added security.